(CNS): Following in the tracks of his older brother, Dean Travers will be making his first Olympic appearance this month at the Inaugural Winter Youth Olympic Games in Innsbruck, Austria. 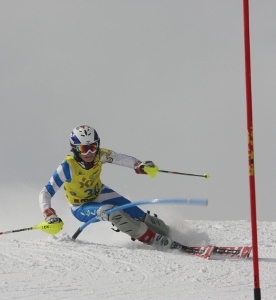 The teen skier will be representing the Cayman Islands in Giant Slalom, which will take place on 19 January. Dean, who is a freshman at Aspen High School where he competes for the Aspen Valley Ski and Snowboard Club, is the son of Anthony Travers, the chairman of the Cayman Islands Stock Exchange. Dean took the bronze medal in the 2009 giant slalom at the Whistler Cup and the gold medal in the super-G race this year at the Whistler Cup in British Columbia. Fingers are now crossed for a great showing by Dean in Austria. The support team for Dean will be Jennifer Powell as Chef de Mission, CIOC President Donald McLean, along with Jake Zamansky as coach and his brother Dow who will assist the coach on the slopes. Dow was the first ever Caymanian skier to attend the winter Olympics when he represented Cayman at the Vancouver 2010 Winter Olympic Games. Like his older sibling, Dean began skiing at an early age when his family began vacationing at Beaver Creek. The games are an international multi-sport event for winter sports held under the auspices of the International Olympic Committee (IOC) and the summer games were first held in Singapore in 2010. The games will be held every four years in staggered summer and winter events consistent with the current Olympic Games format. The Games will also feature cultural exchange programs and opportunities for participants to meet Olympic athletes. Innsbruck 2012 aims to inspire young people around the world to embrace, embody and express the Olympic Values of Excellence, Respect and Friendship. Olympic traditions will meet modernity. (CNS): Drugmaker Novartis has recalled a range of over-the-counter medicines as a result of issues at one of its factories that could have resulted in products being mixed up. Hurley’s, Fosters and Kirk supermarkets have confirmed that they have removed several of the firm’s medicines from their shelves as a result of the recall. 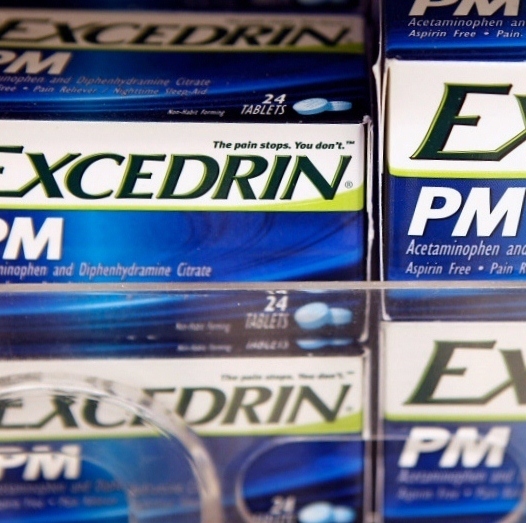 Novartis Consumer Health has recalled all lots of bottled Excedrin and NoDoz as well as some Bufferin and Gas-X products because the firm said the products may contain stray tablets, capsules, or caplets from other Novartis drugs or contain broken or chipped tablets. Foster's Food said it had also proactively pulled all the affected Rolaids products from its shelves too. It said that until it has a further correspondence from the manufacture the products will no longer be available to its stores. “We are sorry for any inconvenience this may cause, however the safety of our customers is our top priority. We encourage all customers who have purchased this product to return the affected product to their Foster’s Food Fair IGA of purchase for a full refund,” a spokesperson for the supermarket said. The drug firm said it has voluntarily suspended operations at the Nebraska factory as well as shipments of the drugs to accelerate maintenance and other improvements at the affected site. The mixing of different products in the same bottle could result in people taking the wrong medicine or a higher or lower strength than intended, NHC said, which could potentially result in overdose, interaction with other medications a consumer may be taking or an allergic reaction if the consumer is allergic to the unintended ingredient. However the drug company said it was not aware of any adverse events in connection with issues relating to the recalled medicines. (Washington Post): In an effort to sustain commercial and recreational fishing for the next several decades, the United States this year will become the first country to impose catch limits for every species it manages, from Alaskan pollock to Caribbean queen conch. 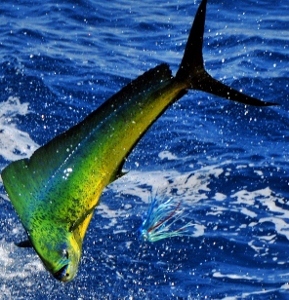 Although the policy has attracted scant attention outside the community of those who fish in America and the officials who regulate them, it marks an important shift in a pursuit that has helped define the country since its founding. Unlike most recent environmental policy debates, which have divided neatly along party lines, this one is about a policy that was forged under President George W. Bush and finalized with President Obama’s backing. (CNS): The renowned Indian heart surgeon who has plans for developing a medical city in the Cayman Islands says the hospital will demonstrate to the United States and the rest of the world that affordable health care is “doable”. 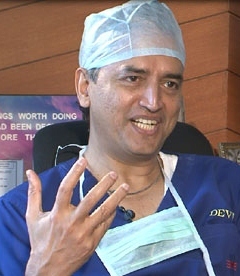 Speaking to the BBC’s Stephen Sackur on Hardtalk on Monday, Dr Devi Shetty denied that the Cayman project was about profit but he said it would show that it would be possible to deliver affordable quality health care to patients at half the cost of that provided in the States. He told the BBC interviewer that it would be a forerunner for taking his model of healthcare beyond the boundaries of India and into the African continent. Dr Shetty said that the way health care is currently run is the next disaster waiting to happen as the model in the UK, Europe and America was seriously flawed, with more than 70% of health care costs being spent on staff because of the shortage of qualified doctors all over the world. He said he wanted to see a global medical university dedicated to producing the number of doctors and qualified medical technicians that would be required to make his model work in which he said the physicians and medical staff play a crucial role. He explained that doctors in his hospitals in India receive electronic messages revealing the financial status of the facility where they are working at noon every day to help keep costs as low as possible. Dr Shetty visited the Cayman Islands last week and at a short press briefing on Friday said the first phase of the Cayman project – a 140 bed hospital — was likely to begin in the summer. He also revealed that he would be partnering with a local education institution to open the Cayman Narayana medical training school by the start of the next academic year to begin training local staff for to feed the facility. BBC World News will also air the programme at 21-30 GMT. (CNS): Three out of the nine people killed on Cayman’s roads last year were killed during the police seasonal safety campaign and speed or alcohol is believed to have been a factor in all three fatal crashes. Revealing the results of Operation Christmas Cracker, a six week campaign focusing on community safety, the police said Monday that many drivers in Cayman do not deserve to hold a driving licence. Between 28 November and 4 January 62 people were arrested on suspicion of DUI and 140 drivers were ticketed for speeding, according to figures released on 9 January. In addition to the three collisions which claimed the three victims' lives, another 146 crashes were also dealt with by police during the safety campaign. While the RCIPS said the number of reported smashes was less than last year, Chief Inspector Angelique Howell said it was far too many. “We commonly hear the term road accidents used (but) a road crash is not an accident. Crashes are caused by driver error, speed, driving under the influence or driving dangerously or carelessly,” CI Howell said. “Crashes can be avoided — all it takes is for drivers to be aware of their surroundings and be responsible. But unfortunately, once again, our latest safety drive has proved that many of Cayman’s drivers are far from that. 'It’s clear that we still have a long way to go to make our roads as safe as they should be. Three people lost their lives in six weeks, three families lost loved ones over the festive season – all because people were not responsible,” she added. Although Operation Christmas Cracker has finished, CI Howell stressed that the end of the campaign does not mean the end of road traffic enforcement, as a further six drink-drivers found out to their cost this weekend. Early indications are that in each the latest three fatal road smashes someone was either speeding or was driving under the influence of alcohol. On 30 November 52-year-old Richard Martin was killed near Lakeside Villas on the Esterley Tibbetts Highway. Patrick Raymond Brooks-Dixon, who was arrested at the scene for suspicion of DUI, was charged in December with causing death by dangerous driving. Richard Alutaya River, who was 39, was killed on Shamrock Road on 23 December in a single vehicle smash in which he was believed to have been speeding, and 26-year-old Dwayne Cayasso died from his injuries on 29 December the day after the car he was driving left the Linford Pierson Highway and collided with a tree. 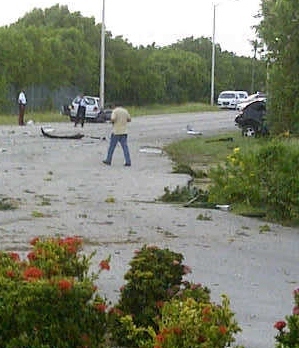 During 2011 Cayman’s roads also claimed six other lives. 72-year-old Graham Rivers was killed in North Side when he was struck by a car as he rode his bicycle on Hutland Road. In May 25-year-old Elmo Powell was killed on Cayman Brac when the vehicle he was driving crashed into the Cayman Brac Power and Light building in the early hours of the morning. Later that month Janice Holland (64), a visitor to the island from the United States, was killed when her husband, who was driving the couple’s rental car, drove mistakenly on the wrong side of the road on Jubilee Lane in West Bay. In June two teenagers were killed in separate incidents. Jamie Evans, who was only 19, was killed on the Esterley Tibbetts Highway on 1 June, then 18-year-old Brandon Powery lost his life on a motor cycle at the junction of Boltins Avenue and Town Hall Road in West Bay on 26 June. Karen Edwards, who was 25 and expecting a baby, was killed on Sea View Road, in East End on 14 August after the car she was travelling in with three other women crashed into a tree. (CNS): John Yates the man who was in charge of the discredited Operation Tempura investigation in the Cayman Islands is believed to have been given a pay-off in the UK after he resigned in the wake of the phone-hacking scandal according to the Daily Mail. The British tabloid reports that Yates and Former Scotland Yard Commissioner Sir Paul Stephenson could have received as much as $500,000 between them after signing gagging orders which bar them from suing the Metropolitan Police or speaking about their treatment. The exact size of the payments, at a time of savage cuts to police budgets, was a closely guarded secret the Daily Mail said adding that he pay-offs underline how the scandal plunged the Met leadership into chaos amid a flurry of revelations about their close links to News International. 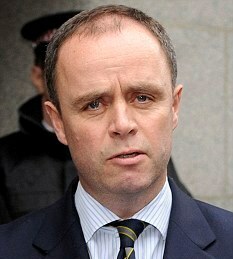 Yates was head of the special police investigation team which was first sent to Cayman to investigation alleged corruption in the RCIPS when the officers were reporting directly to Scotland Yard. When the investigation dragged on and after the senior investigating officer, Martin Bridger retired from the metropolitan police service, the command structure changed. However Yates was in charge of the enquiry for most of its first year and visited the Cayman Islands in connection with the enquiry on several occasions. Ahearn said the ministry must now decide whether to change the bill based on the input received during the last consultation period, which took place in 2010, or to let the bill go forward as drafted. “Discussions on that have not yet happened,” the chief officer admitted. She added that although there had been no news, the bill “was not forgotten”. The director of the Department of Environment (DoE) has persistently noted the pressing need for the critical legislation. For several years now Gina Ebanks-Petrie has repeatedly stated that the clock is ticking on the islands’ precarious environmental resources and the bill has to become law at the earliest opportunity if the Cayman Islands is to have any chance at all of preserving them. From the silver thatch palm and the banana orchid to Cayman’s unique bats and reptiles, few of the islands’ indigenous species currently have any kind of legislative protection. The public consultation and debate on the law has raged for almost a decade and despite wide support across the community for the legislation, with media straw polls persistently showing around three quarters of the population in favour of passing the current draft law, the government has still not been persuaded of the urgency required regarding the legislation. The draft bill has been re-written several times but what appears to be a powerful if small lobby against the law has been able to delay its passage. In November of this year, the country’s bill of rights which forms part of the 2009 constitution will come into force and the document refers to environmental rights. Unless the law is passed, the environment will not be protected in direct contravention of section 18, which states that government should adopt legislation to protect wildlife and local biodiversity. The law has been much misunderstood, the department’s director said, as she emphasised that it would not facilitate the seizure of people’s private land by government. The only land that can be preserved for environmental purposes under the draft bill is that belonging to the crown. Ebanks-Petrie said it will not stop development but merely requires the country’s natural resources to factor equally alongside economic and social considerations regarding development decisions. The law will also provide more powers to environmental officers to enforce the marine laws, as well as formalise the work of the DoE, enable compliance with international treaties and offer legal protection to the country's unique species and their habitats. At present around less than 0.5% of Cayman’s land has any legal protection, which Ebanks-Petrie pointed out was only a fraction of that set aside by other countries in the region. “It is not possible for us to talk about sustainable development when so little of our land is protected,” she added. As the NCL continues to languish in political limbo, local experts point to the mounting crisis and the real danger to indigenous snakes, butterflies, bats, lizards, orchids, silver thatch palms and other trees, plants and flowers unique to these islands. Without protection for them and, critically, the habitats in which they live, some of the islands unique species could soon become extinct. Mangroves are not only an important habitat when it comes to providing a nursery for reef fish and a home to a host of wildlife but important in their own right as a protection against storm surge in hurricanes, but remain dangerously exposed to destruction. Although supposedly protected in the planning law, the removal of several hundred feet of mangrove buffer by the developer of the Ritz Carlton demonstrates that the planning designation is inadequate and more protection is required. 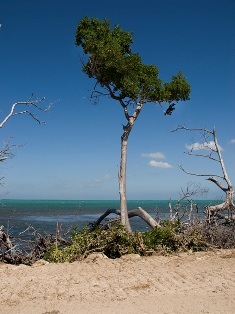 The developer was granted permission to rip up 378,000 square feet of mangrove buffer zone in May 2010 in preparation for the start of work at Dragon Bay, which has not begun. Despite promising to replenish the area, little work on that promised project has been implemented. Although the recent framework agreement signed by the Cayman government with the UK now requires government to undertake environmental assessments regarding public development projects, there is nothing at all to compel private sector developers to make any consideration for the environment.